Leading the Dave Thomas Foundation for Adoption, a national nonprofit public charity, since 2001 and the Dave Thomas Foundation for Adoption-Canada since 2004, Ms. Soronen works to find adoptive families for the nearly 155,000 waiting children in North America’s foster care systems. Under her leadership, the Foundation has significantly increased its grant-making while developing strategic initiatives that act on the urgency of the issue. In 2018, the Foundation dedicated more than $33.5 million to grants and award-winning programs, such as Wendy’s Wonderful Kids, Adoption-Friendly Workplace and the 100 Best Adoption-Friendly Workplaces list and National Adoption Day. Additionally, through public service announcements, social media campaigns, articles, events, sponsorships and more, the Foundation is building awareness around the growing need for foster care adoption. In October 2011, independent research results were released from a five-year rigorous evaluation of the Foundation’s signature and groundbreaking program, Wendy’s Wonderful Kids. The research proved that children referred to the program are up to three times more likely to be adopted. Since 2005, the Wendy’s Wonderful Kids program has grown from seven pilot site grants to more than 430 sites across the U.S., D.C. and eight provinces in Canada. This program’s evidence-based model is dedicated to moving those children most at risk of aging out of foster care into permanent families. More than 8,750 children have been adopted as a direct result of Wendy’s Wonderful Kids. In 2017, with the support of the Blue Meridian Partners, the Foundation launched a 12-year business plan to take Wendy’s Wonderful Kids to scale in all 50 states. Immediately prior to joining the Foundation, Ms. Soronen served as the executive director of Court Appointed Special Advocates (CASA) of Franklin County. During that time, she also served as the president of the Board of Trustees of the Ohio CASA/GAL Association and led the passage of specialty license plate legislation benefiting CASA programs throughout Ohio, as well as the design and implementation of model program standards assuring consistent application of effective advocacy for children involved in court proceedings at the local and state levels. Ms. Soronen is a nationally recognized child welfare advocate. She has testified before the U.S. House Ways and Means Committee on the importance of foster care adoption. A requested national speaker on the topics of children, the child welfare system and social innovation, Ms. Soronen has been a featured presenter at events for the Adoption Exchange Association, Center for Adoption Support and Education, Children’s Home Society of America, National Association of County Commissioners, National CASA Association and National Council for Adoption, among others. 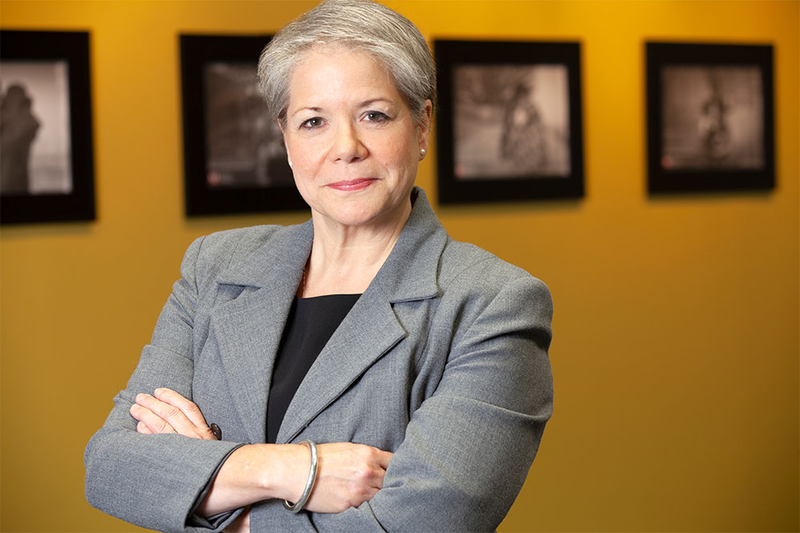 Ms. Soronen is a founding board member and past vice president of the Congressional Coalition on Adoption Institute and a current member of the advisory board and serves on the advisory board of Barco’s Nightingale Foundation. Ms. Soronen is a recipient of the Angels in Adoption Award from the Congressional Coalition on Adoption Institute, the National CASA Association Kappa Alpha Theta Program Director of the Year Award, the Ohio CASA/GAL Association Statewide Leadership Award and was a 2013 recipient of WSNY’s 20 Outstanding Women You Should Know. She is a fellow of the Jefferson Fellowship for Executive Leadership; in January 2016, was awarded an honorary Doctorate of Community Leadership from Franklin University in Columbus, Ohio; was named a YWCA Woman of Achievement in 2017; and was named a National Number One by the Columbus Foundation in 2018. A graduate of the University of Louisville, Ms. Soronen resides in Columbus, Ohio.